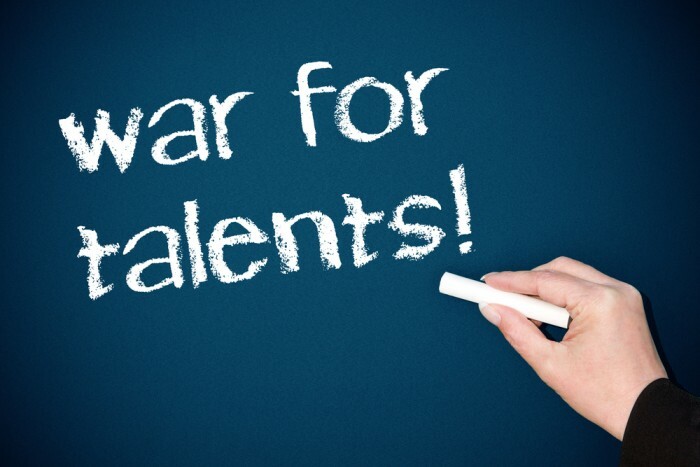 Talent Assessment — Friend or Foe in the War With Talent? No, I did not mean to say the war for talent. While there is a lot of talk about such a war, the real war going on right now is not “for talent.” It’s against it. Employers vs. Talent — The War has Begun! In the year 2015 the landscape of talent acquisition is a war zone littered with wasted money, broken dreams, and endless frustration. It’s not pretty, and the casualties are mounting by the minute. This all started with an uprising, a power grab led by individuals — job seekers and workers — who have become frustrated with the treatment they are receiving from the very employers whom they are seeking to help. Technology and science are providing weapons for the masses to fight the oppression of outdated and convoluted hiring processes, thoughtless treatment by employers, communication breakdowns, and an inability to connect with people on a real and meaningful level. It’s the Arab spring for talent acquisition — and it’s happening now! Believe it or not, talent assessment is playing a pivotal role in this struggle, providing a great example of all that is wrong with how employers are approaching the dialogue with talent. But there is also a ray of hope for talent assessment because it has potential to play a central role in the peacemaking process. While the fog of war has created confusion, it is clear that talent assessment’s role in this war will center around three epic battles (i.e., trends). The role of talent assessment in the battles between organizations and talent will be chronicled in a three part series, starting with today’s yarn about the struggle between man and machine as both vie to claim supremacy over the realm of predictive decision-making. For a quick look at this battle, check out this fun web-app called “friend me” sponsored by IBM to show how it uses Watson to analyze tweets and to infer personality. I did a little test and compared myself (a psychologist) to Arnold Schwarzenegger (a Terminator robot). I was relieved to see that we share no personality traits in common. While it will hopefully be sometime before we have to deal with real terminators, the use of artificial intelligence to understand people and predict their behaviors and attitudes is advancing rapidly. Whether it’s using publicly available data to determine personality, or to make hiring recommendations, Skynet is getting mad props in the mainstream press as a legitimate hiring tool. The ramifications for personal privacy and legitimacy are significant. In short, talent is scared of what companies are doing right now, and rightfully so. The use of artificial intelligence-based algorithms that use public data to make hiring decisions fits the old adage about hot dogs: while on the outside they look and taste good, no one really knows what’s inside. In the case of hot dogs, ignorance is bliss because the truth may be less than appetizing. Most folks don’t really care about the ingredients in hot dogs or robot hiring programs because they like the results (i.e., it tastes good, the pain of hiring is made easier). It’s only after the fact that the ingredients can come back to haunt the consumer. In the case of hot dogs, one’s stomach may cause them to regret their decision (especially true when chilli and onions are involved!). When it comes to hiring, the consequences can be much more painful and long lasting. It’s hard to argue with using personal data to predict who will be successful at a job. We I/O psychologists have been doing this for almost 100 years and predictive analytics, once exclusively our turf, is now a legitimate business discipline. The thing is that without good psychology involved, it is hard to believe that we can trust that the data inside robot-based talent tool sausage alone is capable of consistently yielding good results. Not only does the idea of machine-based talent scare the crap out of talent, there is significant danger in thinking that proper psychological measurement tools can be replaced by AI. And when it comes to making talent-related predictions, it is inane to think that a century of science and experience should be disregarded as obsolete. The good news is that this does not seem to be the trend at present. There are peace talks going on as we speak. The path to peace centers around understanding that the real magic lies in what is possible when man and machine work together. One has only to turn to chess for an excellent example of the power of collaboration between man and machine. Chess is at heart a battle of predictive powers and there is a long history of chess masters battling computers for the right to lay claim to predictive supremacy. Believe it or not, by 2009 we reached a point where a smart-phone-based chess program could beat a chess master! Then something really interesting happened in the world of humans, computers, and chess battles: humans began teaming up with computers to compete against other human-computer teams. It seems incredible that an average Joe (or Josephine) with a computer can beat a strong computer, hands down. But even more astounding is the fact that when team Average Joe dials in a process for collaboration that uses the best assets of both man and machine, they become even more powerful than a master and a machine who aren’t as good at collaborating. So, when man and machine are able to share in a process that uses the best assets that both have to offer, the results are game changing. There is a lot that the world of talent acquisition and talent assessment can learn from the human-computer chess wars. Clearly the key to peace and prosperity lies in an ethically bound collaboration between AI and psychology. The good news is that reasonable parties from both sides seem bought into a collaborative, multi-disciplinary mindset when it comes to effectively and ethically predicting workplace performance and engagement. While I picked on IBM Watson for doing some scary things, the truth is that it links data science to the most well-known model of workplace personality (the big 5) in an attempt to ground its findings in real psychology. And Watson is not alone. As we move into 2015, other firms such as Good.Co (which I’m working closely with), Sparcit, and HireVue are fielding innovative tools that are bringing both robots and psychologists together. While hope reigns supreme that man and machine can come together to create better days for talent and employers alike, the war rages on. There are several more talent assessment related battles underway that will ultimately determine the ability for organizations and talent to find peace and prosperity.